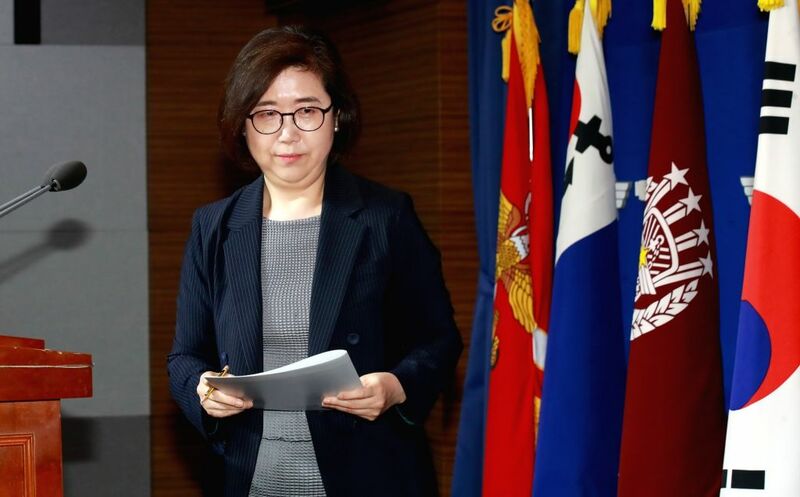 Seoul: Defense Ministry spokeswoman Choi Hyun-soo leaves after a briefing at the ministry in Seoul on July 23, 2018, to announce the launch of a military-prosecution joint investigation team to probe martial law allegations. The Defense Security Command, a military intelligence unit, drew up a report last year on the possibility of imposing a martial law to quell any unrest after a court ruling on corruption charges against then President Park Geun-hye. The unit is also suspected of surveilling the families of the victims of the 2014 Sewol ferry sinking.